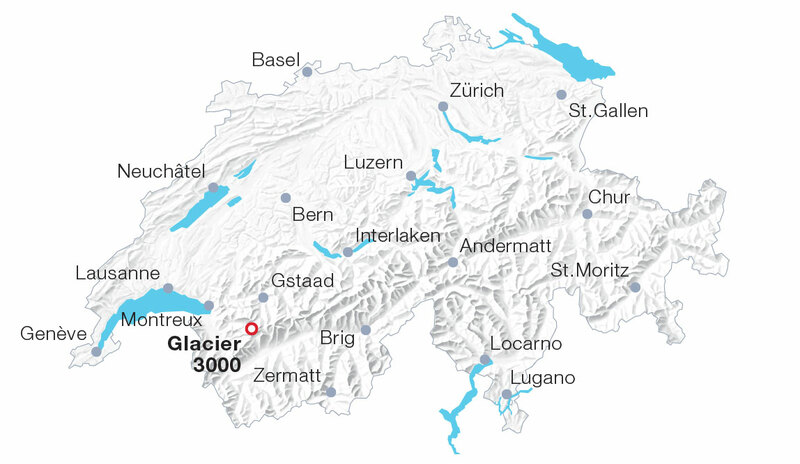 Cableway, architecture, adventure and Alpine mountain scenery – visitors experience all of it and then some on this journey to a unique glacier world. Already the first glimpse of the summit station designed by architect Mario Botta is spectacular. Immediately, a stunning panorama of no fewer than 24 snow-capped 4,000-metre giants reveals itself: Eiger, Mönch, Jungfrau, Matterhorn, Grand Combin and even Mont Blanc in the distance. Operates daily from 09.00h to 16.30h at 20-minute intervals.